Are you passionate about improving the future of clinical research and health care? 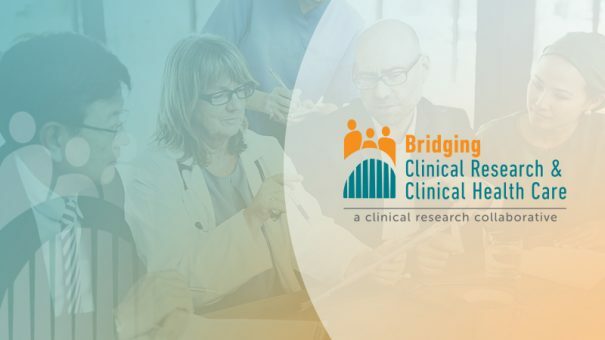 Join us on April 4–5, 2018, at the Bridging Clinical Research & Clinical Health Care Collaborative — and join our mission of increasing the number of patients and physicians involved in clinical research from less than 3% to 6%. This small increase would have a significant impact. Don’t miss your chance to collaborate with our experts, including collaborative chair Badhri Srinivasan, ABD, MS, Head of Global Development Operations at Novartis, and keynote speakers Janet Woodcock, MD; T.J. Sharpe; Laura Esserman, MD, MBA; and Greg Simon, JD. Register for this exclusive event! We look forward to seeing you in April!